How often do you move, really? Not so often, we would assume. If this is false then you most likely already know all you need to know. To that, we salute. However, if this is not the case – chances are you are not as experienced with it as you’d like to be. But don’t fret, this is where we come into play. Here at movers King City, we will try to accommodate your move making it a seamless, stress-free process for you. It is our mission and vision to ensure that this move ends up being a trauma and stress-free experience for you, leaving no marks and no scars. We are the professionals you were looking for! The usual problem people have when moving for the first time is the fact that they are uncertain whether they should do it on their own, or whether they should hire professional help. The best advice we can give to those that are less experienced is to go with the pros. The reasons for this are plentiful and we will cover a few. Movers King City offers a complete moving service and not just relocating a few pieces of furniture. The professional moving services in Toronto that we offer are second to none. It doesn’t matter whether you are moving long distance, or just a few blocks down, we got you covered entirely. Also, regardless of what your needs may be, be it that you are moving a business or your home, our experienced movers King City will be more than happy to be of assistance to you. Basically, when it comes to relocating your business or your family home, you will want to settle for the best. And we are proud to say that we offer just that. Simply, if you won’t take our word for it we are proud to let our reputation speak on our behalf. Take the time to go through the testimonials written by our previous customers. We here at movers King City give a lot of value to our customers and like to believe that all our satisfied customers will be our ambassadors. And the case is just that. And why should you settle for anything less than that? Your moving company should be the one taking excellent care of you. This is the part of the service you pay for. At Movers King city we offer nothing short of this. Above everything else, aside from performing the duties we are entitled to, we offer an extreme level of service and protection of your rights, and the rights of your loved ones. 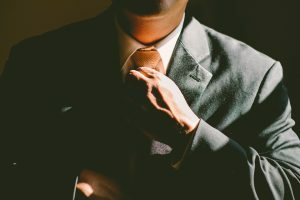 However, before you decide on who you are going to hire to do your move, there are a few things you should be aware of. Before the move itself, and before you start contacting a moving company, you need to do a proper assessment of your needs. This will save you a lot of trouble, and hopefully, a lot of money. Plus it is always easier to look for something when you know what to look for. This is why we are more than happy to share with you a consultation. If you decide to trust us, give us a ring and we will provide you with a free consultation. This means that you will share with us a draft of your needs, and based on this draft we will give our feedback. This feedback will consist of an evaluation of your situation followed by a recommendation of what exactly you may need in order to make your move a successful one. One of the employees from High Level Movers Toronto will be more than happy to hear you out and give a proposed best course of action. Why would you need such consultations though? It is simple. If you are an inexperienced mover, as most of us normal people are, you will need help with a consultation before even considering to hire someone. Basically, you might want to hire a moving company without really knowing what type of service you need. What do we mean by what type of service? The type of service that will fit your needs in the best possible way. Moves can vary in so many ways. It is precisely because of this that you need someone to consult you on what type of move you need. Here at Movers King City, we find that it is imperative for us to coach you in the ways of what type of service you need. By having a detailed investigation of the site of the move we can have a clear understanding of what type of assistance you need. For instance, we will identify the number of things you have to transfer as well as the distance those belongings need to travel. Based on this we will make rough estimations as to how many trucks we might need, how much gas the trucks will require and how many men we will need for loading and unloading. Based on these findings we are able to provide you with a rough estimation as to how much your move might cost. Furthermore, based on our findings we are able to consult you and make sure that we assist you in selecting the right service for you. Be it short distance moving, long distance moving or even continent to continent relocation, we will be able to assist you with this endeavor. So, why Movers King City? The answer is simple, yet complex. Regardless of who you hire, there are still things that are almost imperative when looking for a moving company. Movers King City have all the necessary things. Regardless of who you are going to pursue, make sure that the chosen moving company can answer yes to all of these questions. When you start choosing a moving company for yourself, there is an abundance of factors you need to look at. This is why we strongly recommend that you take a good look at more than a few moving companies. The best favor you can do for yourself is to allow yourself a choice. As much choice as you can. Of course, in case of a very tight schedule move, this might be too much of a luxury. We understand that in this case, you will take what you can get. But on the off chance that you planned everything the right way, you should have at least a couple of months to plan out your move. This means that you will have the luxury of carefully choosing a moving company to fit your needs. There is an abundance of reasons why Movers King city is the right movers for you. Throughout this page, we will discuss things you need to know, and which qualities you are to hunt down when looking for a moving company. Owning a license, allowing moving insurance, providing with a proper estimation and offering consulting services – this is what makes for a great moving company. And this is what Movers King city offer to you. We are but one phone-call away. But, before you pick that phone up, go through this article. Hear what we have to say. Regardless of whether you choose us, or someone else, it will certainly make the whole process far easier and safer for you. And if we helped with this, we are still happy. The answer must be yes. If the answer is no, you might be risking too much. This is our honest to heart recommendation, avoid companies that do not own a license. What does this mean? It means that the company did not pass through a series of regulations allowing it to formally conduct moves on behalf of other people. Such a company might be cheaper, but can have you become subject to a fraud. So when a truck loaded with your belongings magically disappears, the money you initially saved turned the whole ordeal into a disaster. Owning a license is of incremental importance. Due to the number of frauds and moving scams happening globally we have to urge you not to consider recruiting moving companies that have no license. There is absolutely no need for a moving company NOT to own a license. They are not impossible to get and they are basically claiming that the moving company you wish to hire is legit. Deciding to go with an unlicensed moving company will possibly save you some money from the get-go. But, by doing so you are risking of the several potential scam scenarios you really do not wish to be a part of. Moving scams can scar you for life and cause irrevocable damage. Again, movers King City simply urge you not to consider moving companies with no license. Not being sure how much to emphasize this, we will give some examples of potential outcomes when hiring moving companies that do not own a moving license. By proceeding to hire a moving company without a license you are risking becoming a victim of a moving scam. These scams have increased in numbers due to the accessibility everyone has to the internet. These predators will pose as a legitimate moving company that either doesn’t have a moving license or is ‘in the process of becoming licensed’. Either of the two is unacceptable and we recommend that you highly avoid such ventures. Of course, ultimately, the decision is yours. We are not trying to tell you what to do, just giving you advice as to what we think is best for you. At Movers King City we are fully licensed and credible. We are able to handle your belongings as well as justify the trust you put into us. Our long history, testimonials and overall reputation back this up and give you a care-free night rest. You will not have to stress about anything! Otherwise, if you decide to risk it – everything might end up just fine. However, higher chances are that if something sounds too good to be true – it usually is not. You might find a dream moving company. They have no license, but it doesn’t bother you much. They show up on a moving day, and everything seems legit. There are a truck and a few trained professionals handling your goods with care. Once they are done and the trucks are loaded, off they go. You get into your car and drive towards the new destination. Once you arrive you wait for your movers to show up. Unfortunately, the wait can be endless because they never will. All of your belongings are now either stolen or held hostage. Not sure which is worse. In the first scenario, you will call the police and make a report, but chances are, your stuff will never be found. Secondly, they might keep them hostage and force you to pay an extra amount of money in order to get them back. On the moving day, in the last minute, your unlicensed moving company calls to claim how they have no available trucks. And here you are, packed up in boxes and ready to leave the apartment ending up practically on the street. At that moment, seeing that you are in big trouble, the moving company offers to send an additional truck if you pay extra. Classical scam. You find the dream moving company, in spite the fact they have a license. An agreement is made and everything is great, the only little bugger is that they ask for an advance, 20% of the entire cost. You are thinking ‘hey, these guys are exactly what I need, I really don’t want to lose them’. In the light of that thought, you pay them 20% in advance. The end result? You never see them or hear from them again in your life! Let’s meet and talk. We have all you need. Picture this. You are moving an invaluable piece of furniture. Regardless of how professional your movers are accidents can occur. If you have no insurance in case of such an accident, you are at an utter loss. With insurance, however, you are covered. You may not recover the belonging but you will be very well compensated to accommodate your loss. Regardless of how professional your movers are, accidents happen. They always have and they always will. It is not a poor choice of a moving company, it’s just the universe wishing to send its message. If you avoid purchasing insurance you are playing with the universe. And one thing is certain – the house always wins. This way, by purchasing insurance, you are safe regardless of what the universe sends your way. In some cases, money can’t compensate for the emotional value you have for belonging. But, getting money in return is better than not getting anything in return. Make sure you take this one, it is quite worth it. Even though you might not have extensive knowledge on the subject, you will be looking for experienced staff with all the right tools for the job. This is something that you can discover from photos and the overall approach the moving company has towards you. Movers King City will never estimate a moving price without visiting the site. All the professional movers will have the same approach. Only when those movers see the moving site first hand can they estimate what tools, vehicles, and manpower they will need to make this move a successful one. The estimation of your moving cost is of the highest importance. This helps both you and us know whether we are a match or not. If you hear an estimate that suits you great, you should know that the price will remain entirely as made in the estimate. Hardly ever does it happen that the final price goes above the estimated one. Unless something really specific and unfortunate happens that none of the parties could account for, the price should stay the same. This is why all professional moving companies will always offer to send someone to the moving site in order to make a rough estimation. That rough estimate will tell how much the entire project might cost and last. Furthermore, our personnel has the finest training and equipment available on the market. This means that everything will be extremely professional and safe. Both for you and your belongings. With our expert level equipment, we offer expert level estimations. Our moto claims that we will have the right people and the right tools, at the right place and time. So you are as safe as you can be, leaving your trust with us. We will treasure it and keep it safe! If for any reason you feel that the estimation is not right or unfair, you can always contact our consultants and try to see what could have been more expensive than you anticipated. We will always be more than happy to elaborate and explain our pricing and show how transparent we really are. 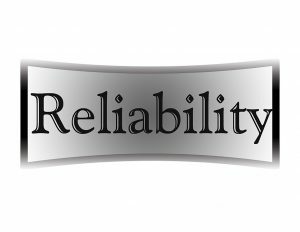 We take pride in the reliability we offer. None of the above mentioned proves that we are the right movers for you. If you go out of your way and contact us we will convince you that we are. Give us your trust and bombard us with questions, and we will be more than happy to address them all! We ask for one thing – your trust. What do movers King City offer in return? Excellent service and the finest professional work you can find, and that money can buy. Speaking of money, we don’t charge as much as you’d think. This is why we strongly believe you should contact one of our consultants and investigate just what type of a service you can get for the budget that you have at your disposal. You’d be surprised at how much we can achieve together! We are hoping to turn you into one more satisfied customer that will become an ambassador when someone asks you next time “Do you know any moving companies you could recommend?”. Best of luck and hope to talk to you soon!